Distracted Driving is something that effects us all. InterChange Group, Inc.. and LD&B Insurance and Financial Services are sponsoring this event so there will be no charge to join. 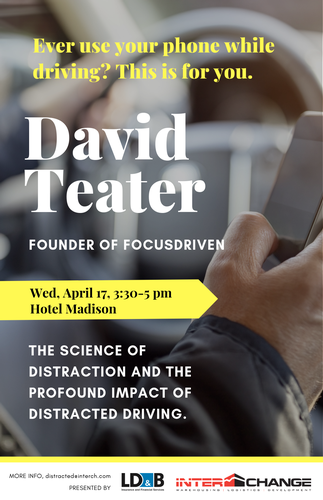 The founder of Focusdriven, David Teater will be the guest speaker at Hotel Madison & Shenandoah Valley Conference Center.